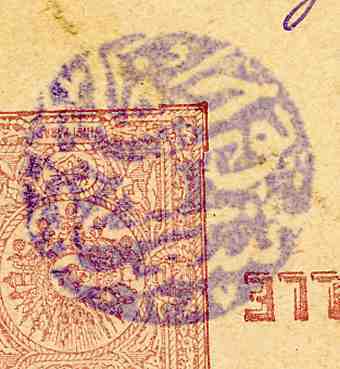 TURKEY USED IN HOLYLAND: 20 para postal card (1892 issue), canceled by superb negative seal "HAIFA BRANCH POST OFFICE 1871" in violet, send to Port Said/Egypt. According to Norman j. Collins only 12 entire items are recorded, (for all three cancelation colours). 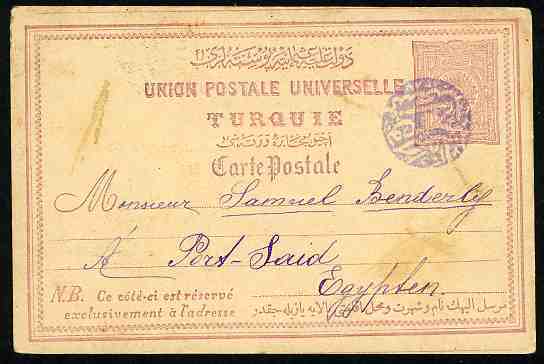 Extremely fine and rare.